Join us for two days of creating VR 360 video on the 21-22nd of January! 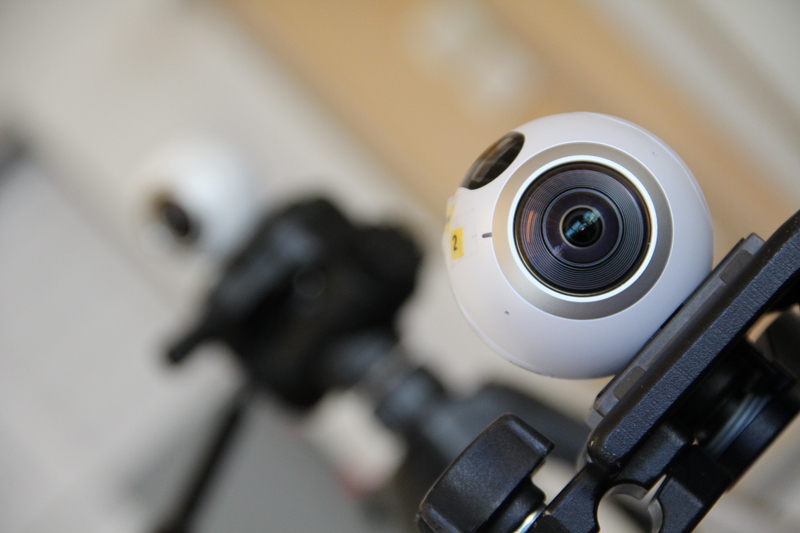 During this exciting weekend you will get the chance to go through the entire workflow of creating a VR 360° experience using a variety of 360°- cameras! The workshop is facilitated by Skåne-based VR-directors Joshka Wessels and Herman Fredlund, who will share their tips & trick on experimenting, producing, editing and designing VR 360° experiences. You will also get the chance to learn the essentials from our esteemed guest-lecturer Anrick Bregman. Anrick (Unit 9) is a seasoned Virtual Reality & Film Director who has been working for the last 9 years at the intersection of Virtual Reality storytelling and experiential technology. In this workshop you will be introduced to VR storytelling and learn the main technical basics of VR 360° video production, from design to postproduction and screening. In groups you will be able to make your own VR 360° experience, you will get to know the cameras, filming, stitching, editing and eventually experiencing the freshly made VR piece using Oculus Rift. Deadline for application is on the 9th of January. Where: BoostHbg in Helsingborg, Dunkers kulturhus, Kungsgatan 11. Only residents of Skåne can apply. Dela sidan: VR 360° Production Workshop! I love that you are giving this amazing workshop and was wondering if there is any possibility for me and a friend of mine to participate. Unfortunately I do not live in Skåne, not even in Sweden, but would really like to do a workshop with you on 360 video! It would not be a problem if there are any costs involved. I used to live in Lund where I attended the Film and Media Producing masters programme at Lund University and that is how I got in your e-mail system.